Oil production in the U.S. hit its highest level in over a decade, marking a move from dependence on countries overseas to energy independence. The U.S. is often painted as an energy-strapped nation reliant on foreign countries for most of its oil use. But that picture is changing as the country gets closer to complete energy independence. A report issued this week shows that the U.S. is increasingly producing more crude oil inside of its borders. Production jumped last week to its highest level since January 1992 according to a recent report by the Energy Information Administration. 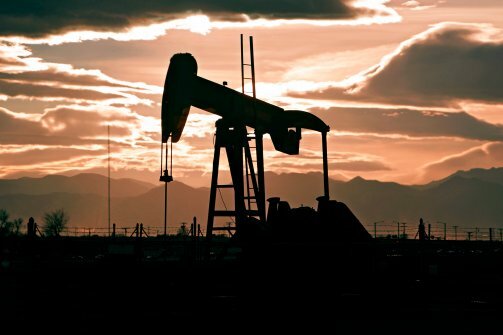 In the week ended July 5, the U.S. produced 7.4 million barrels per day, up 1.8 percent from the previous week, and the highest weekly level in more than 20 years. The increase is largely attributed to more drilling and the sharp rise of hydraulic fracturing in the U.S. The controversial technique of fracturing, or fracking, involves drilling into rock formations to release oil embedded in shale. Many of the U.S. reserves of crude oil are found in the Midwest and along the plains region. Two of the largest reserves are the Bakken and Eagle Ford oilfields located in North Dakota and Texas, respectively. The increase of oil production in the U.S. is reversely driving down the amount of foreign oil the country is importing from OPEC countries because the fuel is less need. Meanwhile, the U.S. is reducing its use of oil – thanks to more efficient vehicles, less driving, the use of natural gas as a transport fuel, and greater investments in renewable energy. Total liquid fuel consumption in the U.S. declined by 2.1 percent in 2012 according to the EIA, and is expected to rise by less than one percent in 2013. And that means the U.S. needs to import less oil – especially from OPEC countires. Numbers from the EIA report show that only 11 percent of the oil the U.S. used in March came from sources outside the U.S. While North America’s growing energy independence has positive economic and geopolitical impacts, there are also downsides. Oil remains a dangerous, flammable substance. And because production in North Dakota has outstripped the capacity of pipelines to deliver the product, companies are shipping large amount of oil by train. The human cost of oil production and consumption was brought home in stark detail last week when a train carrying oil drilled in North Dakota, came off the tracks and exploded in the middle of a small town in Quebec.